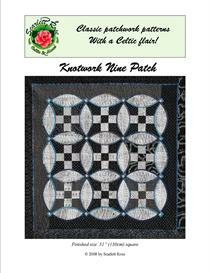 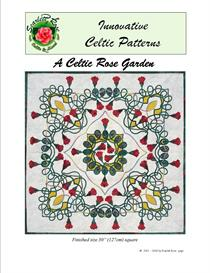 This is a 50" (127cm) square wallhanging, designed by Scarlett Rose, featuring Celtic applique with appliqued flowers. 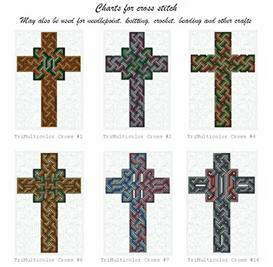 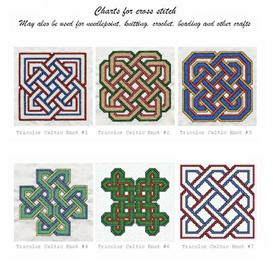 There are full size pattern pages for one quarter of the design, which can be printed multiple times to give you a complete pattern for the entire wallhanging. 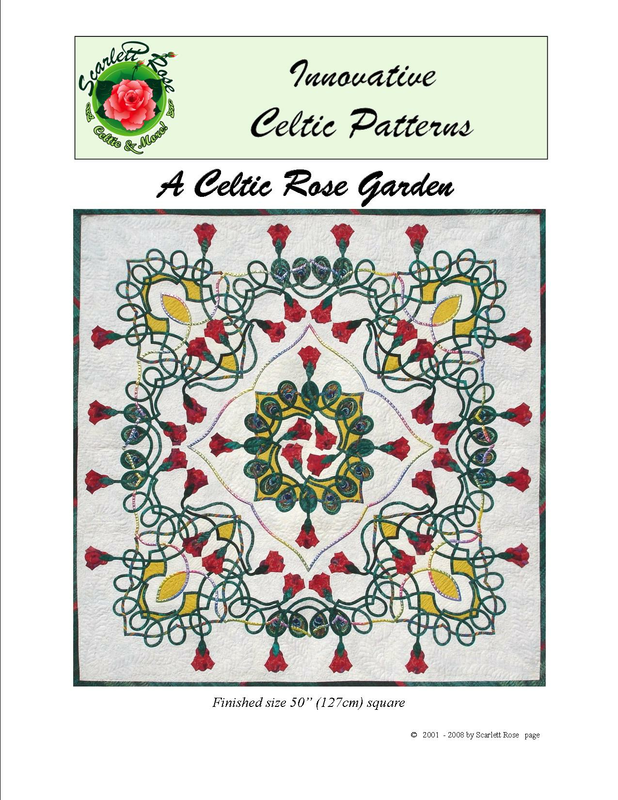 There instructions on how to make a pieced background and layout diagrams for the quilt.